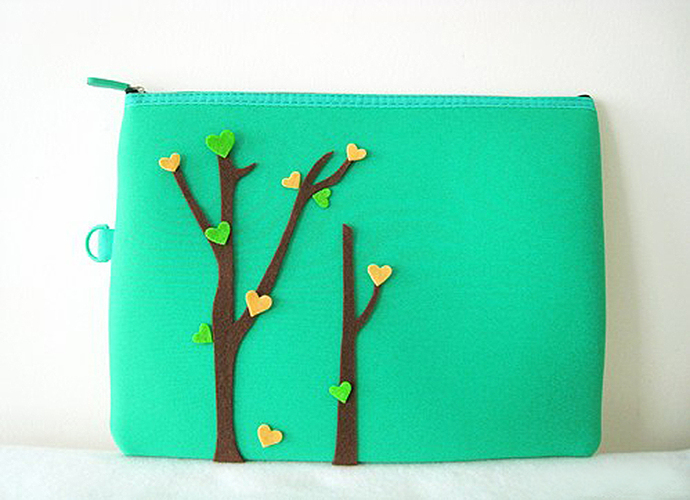 This is a lovely handmade zipper padded pouch, perfect size for organizing your stationary, documents and to protect your Ipad and small laptop! 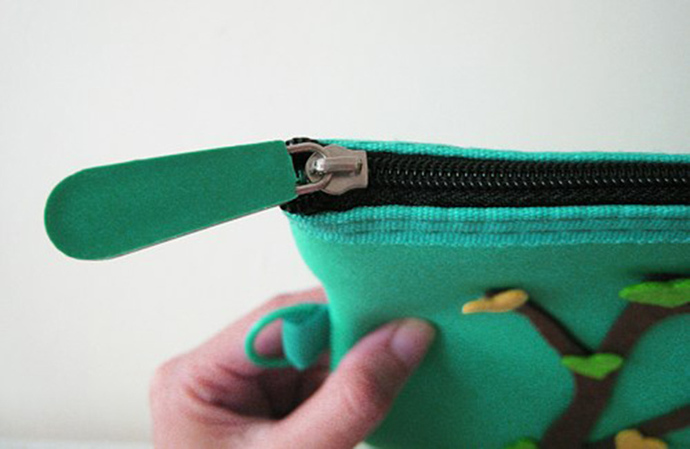 MADE-TO-ORDER, pls allow 3--6 days to complete on top of shipping. 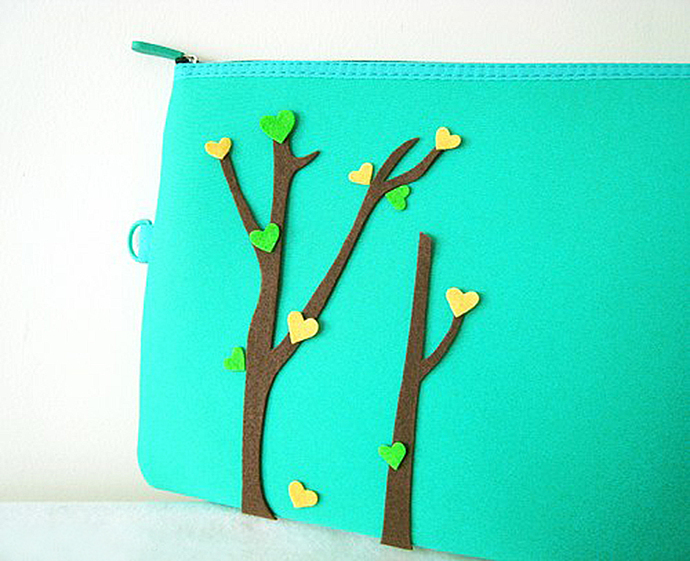 **Trees and Loves are hand-cut of recycled felt and hand-stitched with love on the front panel. **Measures at L12.5" X 9.5", international A4 size (Fits laptops that are 11"). **Polyester material with padded foam for protection. Not waterproof. 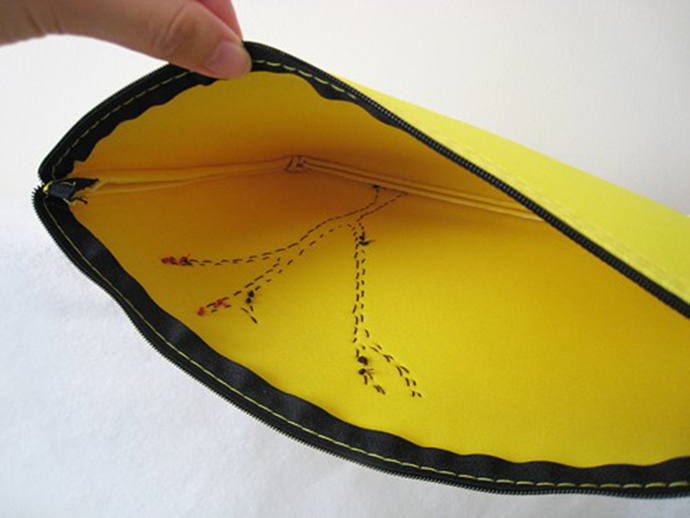 **NOTE: No inner lining, you can see my stitch work. **It comes with a side hook for your convenience. **If you want different color for the Hearts, please contact me!